The first car made by Giotto Bizzarrini when he was a mechanical engineering student at the University of Pisa will be among the many Bizzarrini automobiles featured at the 2016 Pebble Beach Concours d’Elegance, to be staged Sunday, August 21st at the Pebble Beach Golf Links in California during Classic Car Week. Bizzarrini built the car, nicknamed The Macchinetta, in the year 1953, and it was the foundation for the start of his career. 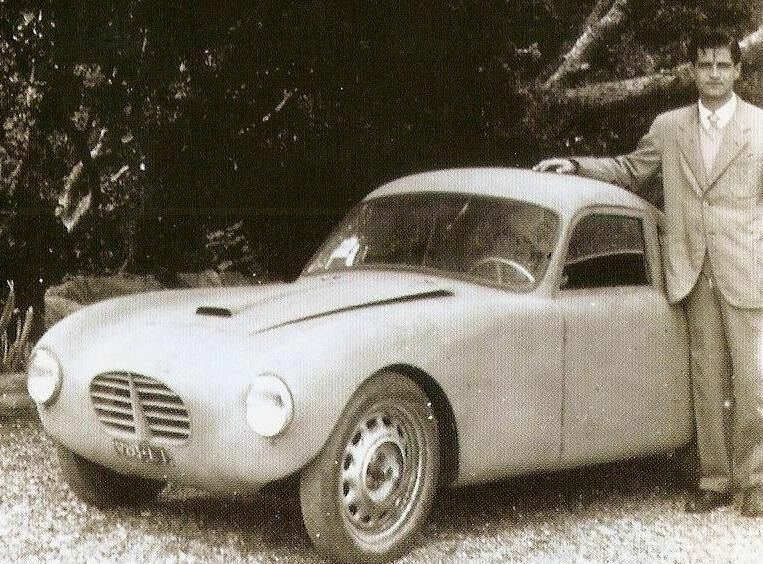 Based on a Fiat 500 Topolino chassis and drive train, it had an aluminum body formed over a lightweight steel frame. Despite the fact that the engine had a capacity slightly smaller than that of a standard Fiat 500 unit, Bizzarrini was able to fit a SIATA high performance cylinder head with twin carburetors, boosting its output to around 30 bhp. Bizzarrini also integrated The Macchinetta into his graduation thesis, a piece that was highly commended by all of his professors. Bizzarrini later drove The Macchinetta to a job interview at Ferrari, and once Enzo Ferrari saw it, Bizzarrini was hired without hesitation. He went on to develop some of the most-loved Ferraris in the world today. The list includes the Ferrari 250 Testa Rossa, the Ferrari 250 GT SWB and the Ferrari 250 GTO. He also designed the Lamborghini V-12 engine and worked with Alfa Romeo, Iso and American Motors. The automobiles to be featured at the Pebble Beach Concours 2016 are those that Bizzarrini built under his own name, such as the Bizzarrini P538 Barchetta, the 1900GT Europa and the 5300 Spiders. The Macchinetta was restored and shown at a small collection of European events, but this is the first time it will appear in the United States. Pebble Beach Classic Car Week begins on Wednesday, August 17 and includes car debuts, the Tour d’Elegance, the Classic Car Forum speaker series and RetroAuto — all preceding the Concours held on Sunday, August 21 on the 18th fairway of Pebble Beach Golf Links. For more information and tickets, visit PebbleBeachConcours.net.